What link are you in the value chain? Our hay and feed suppliers nourish the herd. The question at the time, so early in the game, was very intimidating. We had no idea what we were getting into; the scope of the industry, what a business our little farm would become, or how critical it is to pick your role in the value chain that is the alpaca/fibre industry. 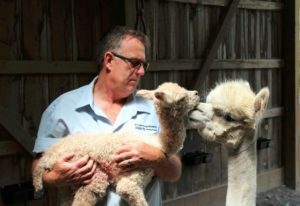 We have been alpaca farming for 10 years. Over those 10 years a hobby became a business. The alpaca business has become much clearer to us. We have faced some personal trials and tribulations that have made our limitations of both time and energy very clear to us. In so doing we have regularly assessed what we love about what we do and how we want to dedicate that precious time and energy. 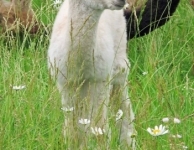 We have learned what we are really good at and where we can make the greatest contribution to alpaca farming in our region. 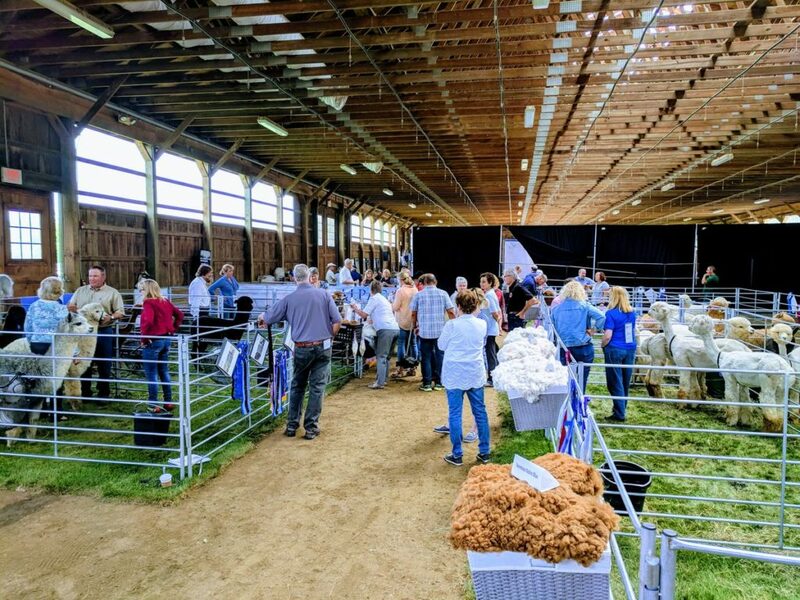 And we have worked with our alpaca farm colleagues to better understand the current state of the alpaca industry in Ontario and do our part (now as board members of Alpaca Ontario) to move that industry forward. Why is all of this important to someone who is raising alpacas? 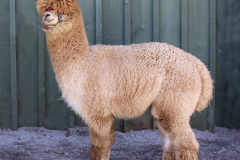 We have seen so many friends and colleagues begin raising alpacas as a hobby or small business, and over time burn themselves out trying to do it all. What do I mean by “all”? I mean they build their herd, build their passion, build their business and find themselves trying to be all the links in the value chain. Marketing & communication professionals help us to connect with customers. 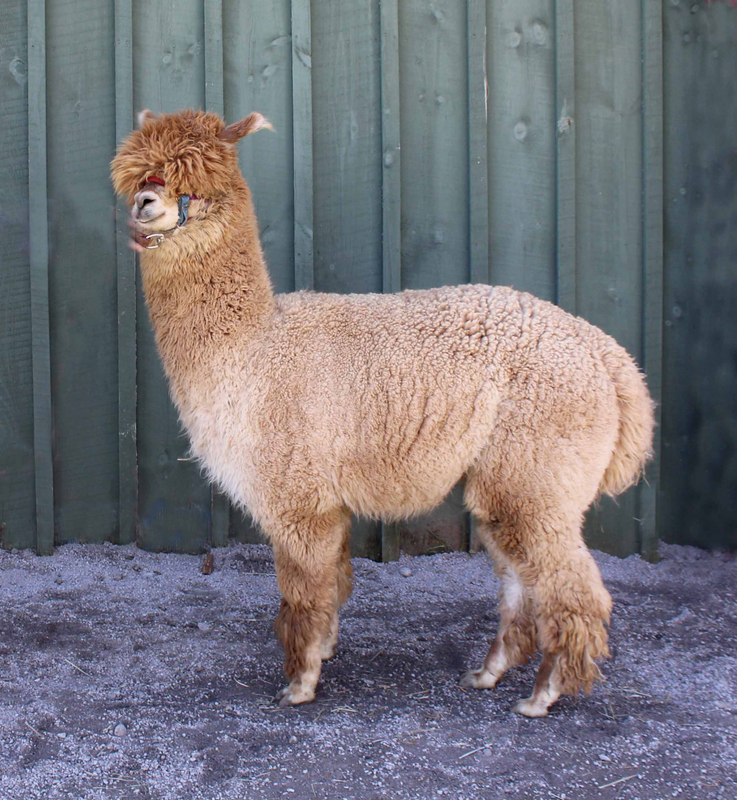 The alpaca and alpaca fibre industry in Canada is relatively new. As a newer industry, we are still developing that value chain. As a result, anyone involved in the industry finds themselves wearing several, if not all these hats as they develop their farm and their business. As you discover opportunities, you seize them. And as your passion builds, you love what you do so much that you simply do it all, squeezing every minute out of the day to make it happen. We did the same. We began with a small herd of six, brought them home and said, “now what?” Our immediate goal was to simply keep them alive, healthy and thriving. We had never farmed before. We had been pet owners, and I had run an urban wildlife centre while in university, so we were relatively confident we could do this, particularly given how easy care alpacas are as a livestock species. Retailers are the final link in the value chain to consumers. Our herd grew. Our store of fibre grew. And then came that question again, “now what?” With boundless energy and a young, eager house full of family at home we began to process our own fibre, create value-added products and sell our own products at craft shows. Fall and winter were spent skirting fibre, making trips to the mill, and spending weekends at craft shows. We developed our website and spinners began to contact us to buy the raw fibre as well. Spring was spent travelling to shows to showcase our animals. 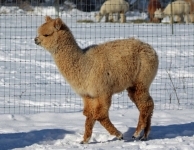 And we started to develop a market for the alpacas we were breeding for sale. A success story, right? Well, a familiar story, no doubt! 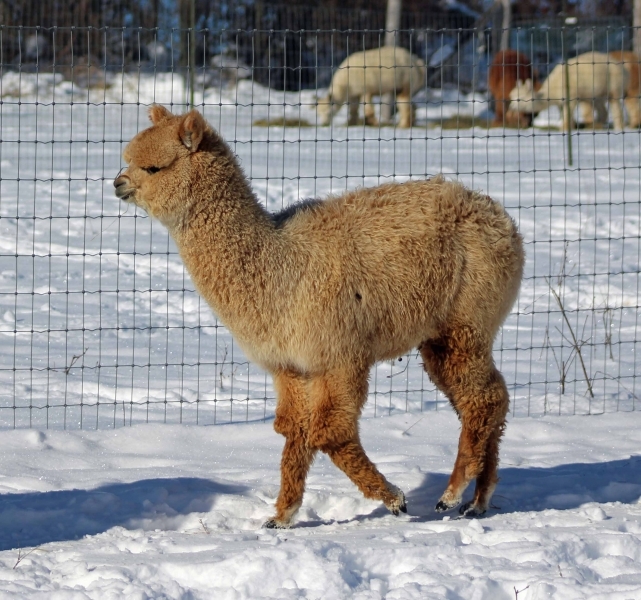 We were doing what so many other alpaca farms were doing … EVERYTHING! As our family grew, their priorities changed. And health issues landed on our doorstep more than once, forcing everything to come to a grinding halt. Despite all this, we did what farmers do. We kept on farming. The world might strip all of your ability away to tackle things, but if you have a passion for it, you will find a way. And farmers always do. We were no different. Your shearer should be considered an essential service. 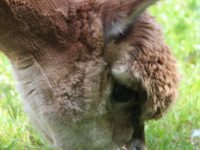 If you read my previous article, “A 10-Year Checkup for a Family Alpaca Farm” (June 2018, Camelid Quarterly), you will know that our family makes it a practice to spend many a family meal chatting about what we love about alpaca farming, and what we would like to do less of. As a result of doing nothing more than that – chatting honestly and opening about what we love to do – we began to specialize and cut out the activities that offered the least reward for us, either personally or from a profit perspective. By constantly touching base in this way we have developed a business model for our farm that really works and is so rewarding, we would want to do nothing else. Agri-tourism is another value chain activity. 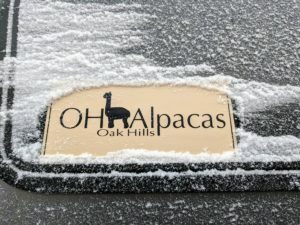 Oak Hills Alpacas now specializes in new farm start-ups. 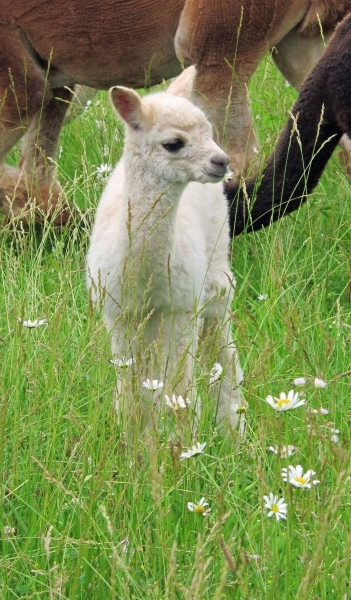 We simply love to meet newcomers that are thinking about alpaca farming for their family. Each time we meet a new family, it rekindles our passion for what we do. 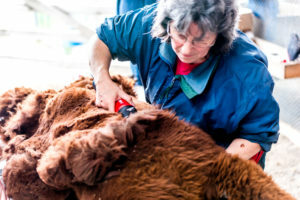 We work to build a herd that offers great value and excellent quality for newcomers, and enough flexibility that they can be any type of producer as they find their passion and discover what they would like to do themselves. We don’t do any retail anymore. Our fibre is sold the day it is shorn at wholesale rates. So we forfeit higher prices for our fibre for the time it gives us to focus on developing our livestock and customer base, and to mentor our clients through all their “firsts” on their farm. 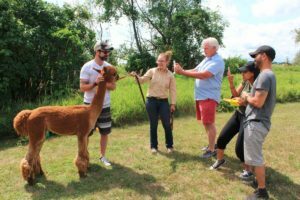 We don’t do agri-tourism visits on our farm, but we welcome those who are looking to learn more about starting their own alpaca farm and learning more about what’s involved. 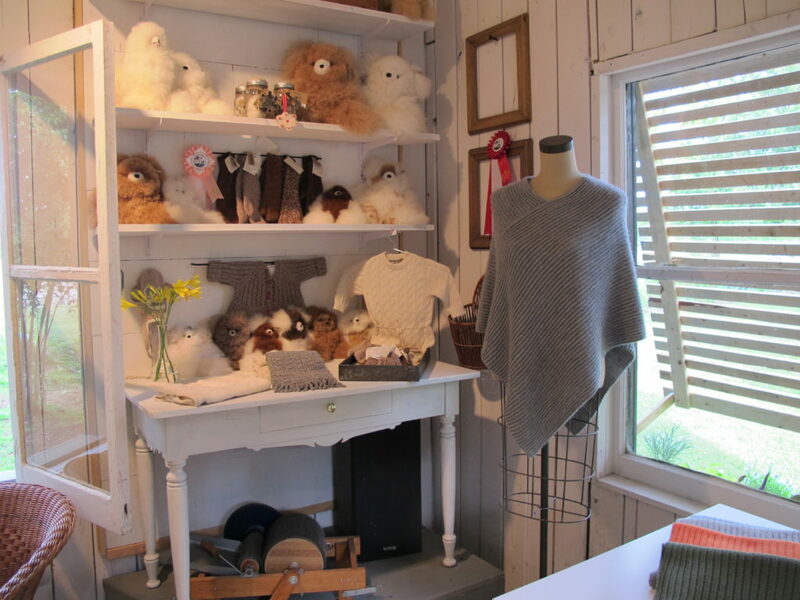 We offer workshops that support the development of alpaca businesses. 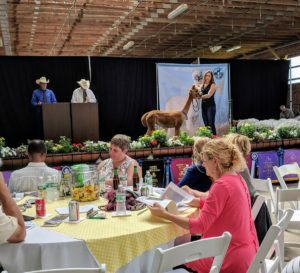 Auctioneers facilitate the sale of alpacas. We chose to pick a lane and stay in it. And what has been the result? Sanity! Collaboration with others who are the best at what they do (retailing, importing/exporting, textile artists, marketing and promotion and events). 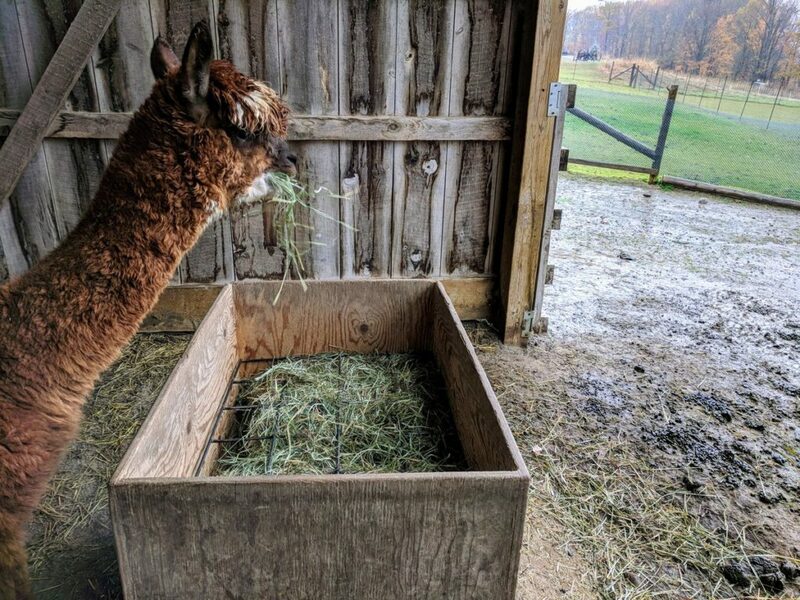 And an opportunity to work at the industry level with Alpaca Ontario as board members (both myself and my daughter Ruby as their first Junior Board Member) to further develop the industry and the value chain so we will all be more and more successful and deliver an incredible fibre product to the Canadian market and beyond. So ask yourself, what do you love to do, and where is your time best spent to build your alpaca business. If you are going to be an integral link in the value chain, what link will that be? And you might just finally be able to answer that original question: “what are your objectives”? Venues, where we show and sell alpacas, provide an essential service. Originally published in the September 2018 issue of Camelid Quarterly. A special thanks to the editors for their permission to reprint.